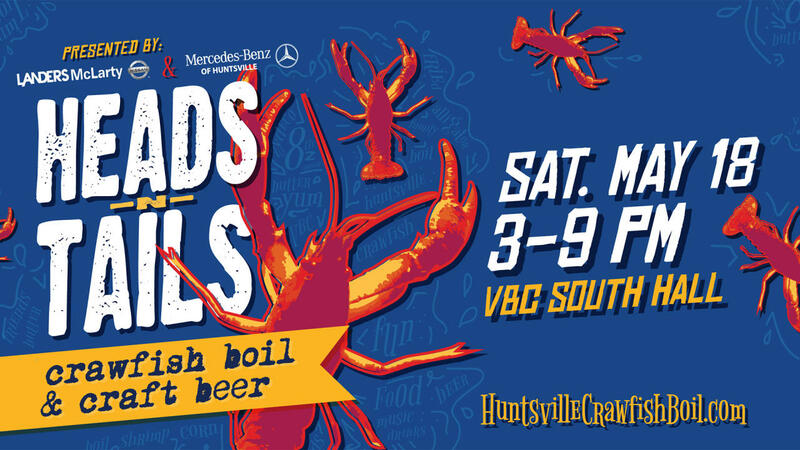 The 9th Annual Heads-N-Tails Crawfish Boil presented by Mercedes-Benz of Huntsville & Landers McLarty Nissan Huntsville will take place in South Hall of the VBC on Saturday, May 18th from 3pm to 9pm! This event is FREE TO ATTEND and is a family-friendly event with face painting, inflatables, an arcade and other free activities to entertain the kids! Crawfish and other cajun food will be available for purchase! We will also have craft beer tastings and your favorite beverages available for purchase! And what crawfish boil would be complete without Zydeco music?! So we are bringing Louisiana vibes to you with live zydeco music by Curley Taylor and Zydeco Trouble from 5pm to 8pm! So make sure to mark your calendar for an event you don't want to miss!